Being stuck with a needle or other item that has infected blood on it. Infected blood or infected blood-containing material enters your body through your eye, nose, mouth, or open cut on the skin. Bloodborne Pathogens may be present in blood or materials containing blood. These include saliva, vomit, sneeze droplets as well as non-living objects such as needles, sharp objects and other surfaces that have been in contact with blood. It is important to note that exposure does not necessarily lead to sickness. Your own risk of becoming sick when exposed to the pathogen is based on the amount of the pathogen that entered your body as well as your body’s immune response to the pathogen. There are treatments that can decrease your risk of becoming sick even if you have been exposed. 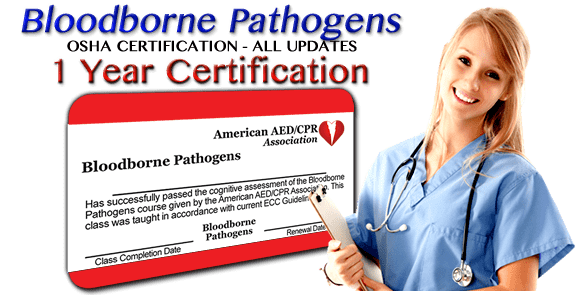 The most effective way to prevent yourself from becoming sick after being exposed to bloodborne pathogens is to protect yourself from blood and blood-containing materials. If you do end up coming into contact with infected blood, there are actions you must take to minimize your chances of becoming sick. To protect yourself, remember the acronym PACT.